THE PICKIEST EATER IN THE WORLD: THIS IS MADNESS! THIS IS MAD FOR LOBSTER AT EDSA SHANGRI-LA'S HEAT!! I'll be honest with you... I don't eat lobster. Not because I don't think it's delicious, but quite the contrary. 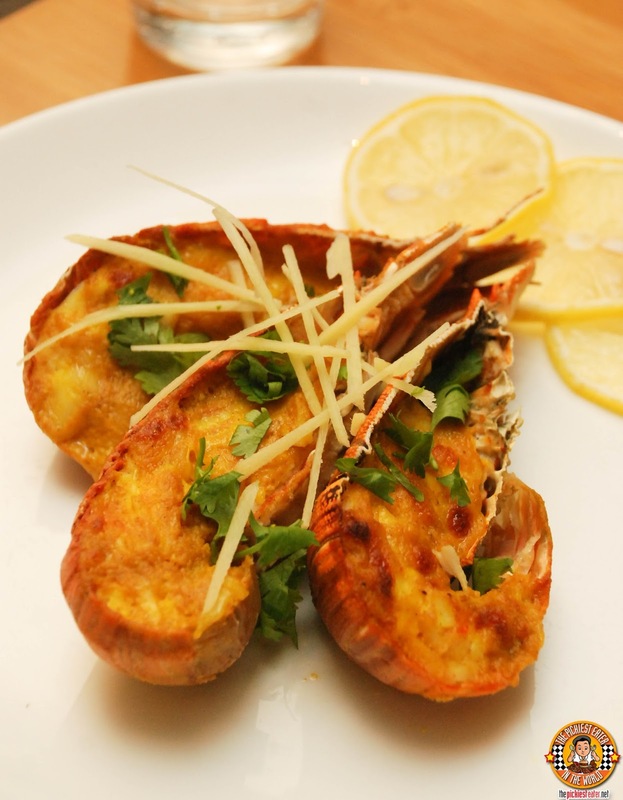 When I was around 12 years old or so, I tried lobster for the very first time and absolutely loved it. In fact, I loved it so much, I ate more than should be allowable for a 12 year old boy. Unfortunately, eating my body weight in lobsters didn't agree with my system, and I ended up regretting it hours later, when I spent the entire following day face down in the toilet. Since that fateful day, I have stayed away from any form of Shellfish, worried that my allergic reaction would be triggered again. 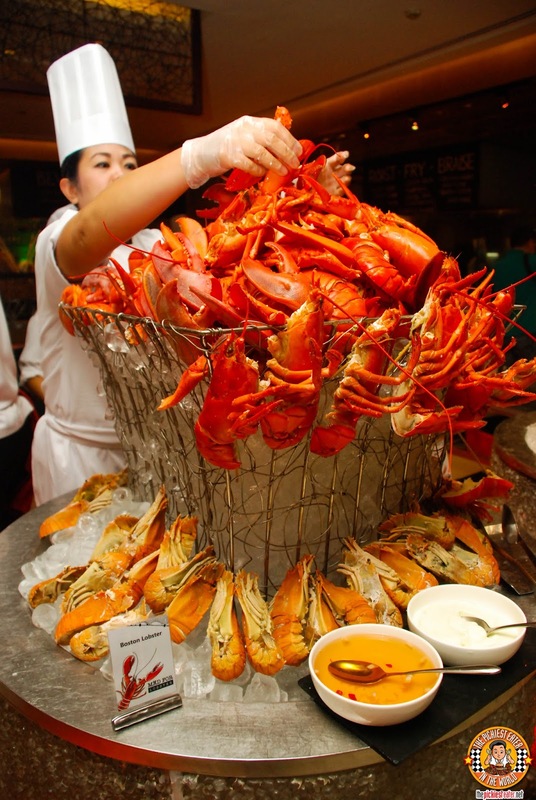 While Rina was choosing her lobster, she asked me why I wasn't getting one of the crustaceans for myself. I reminded her about the story of when I was a child, and she shook her head and replied, "Your problem wasn't allergies.. It was Gluttony!". I stopped for a moment to think.. Hmm.. She may have been on to something. 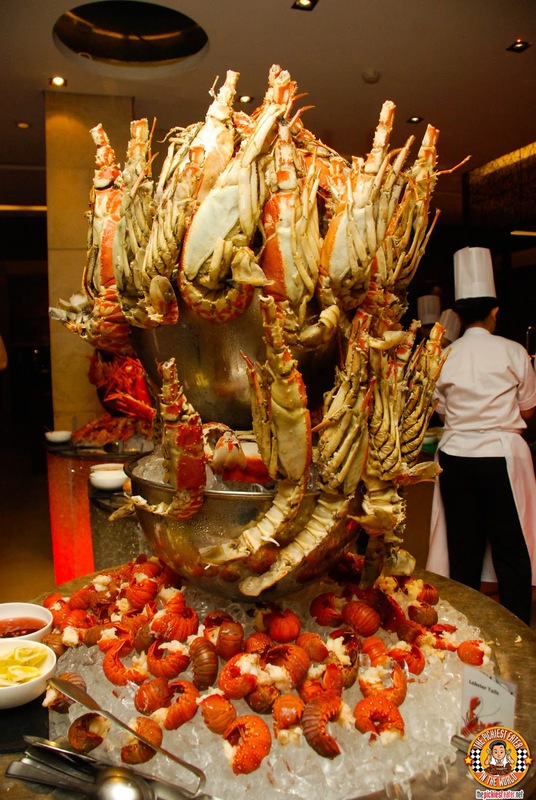 It's pretty hard to miss the glorious spread of different types of lobsters for you to choose from, once you enter Heat. Or the Pacific Lobster and the succulent Lobster tails! 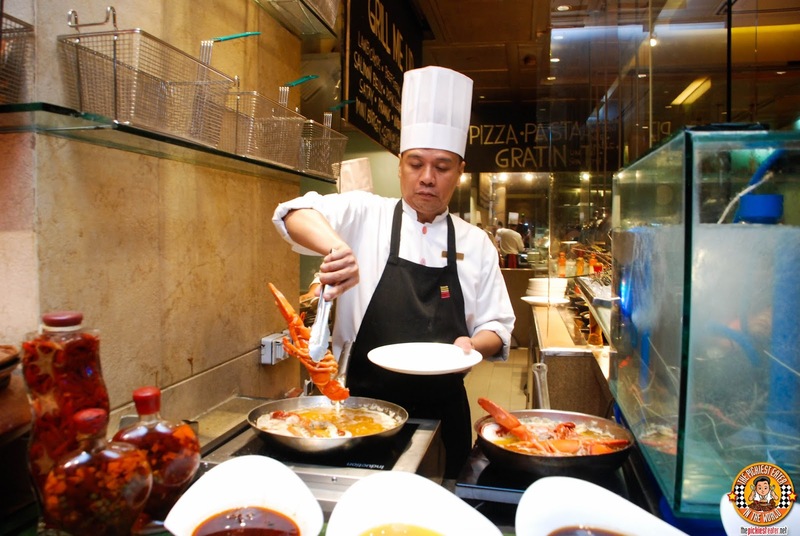 The Lobster madness continues with even more choices, such as Palawan and Slipper Lobsters. 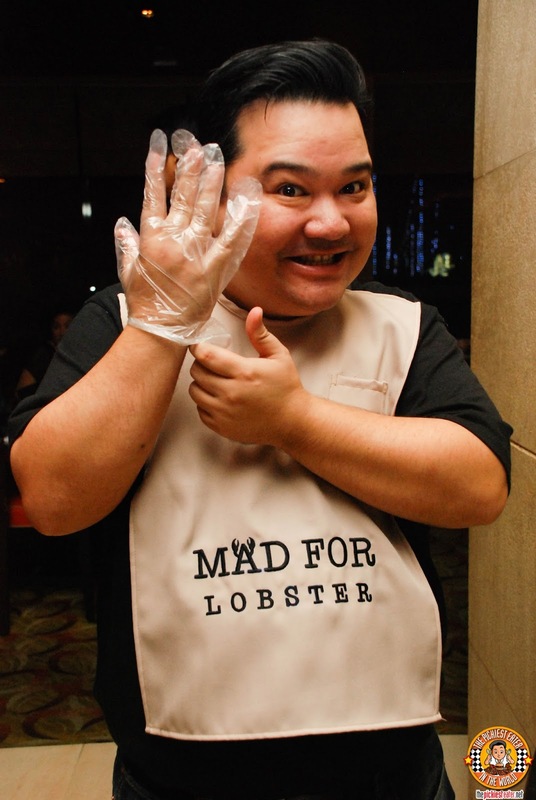 The Lobsters are pre-cooked, so you may just add a little butter and lemon and tear into those little suckers, but if you want to get a little bit more creative, a Heat Chef is waiting in the wings to concoct a little bit of Lobster love for you! 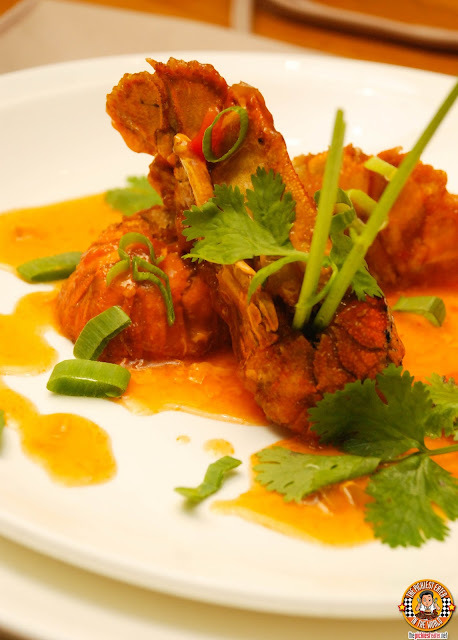 Some of the popular dishes of the evening was the Singapore Chili Lobster Tails..
Or if you're like Rina.. 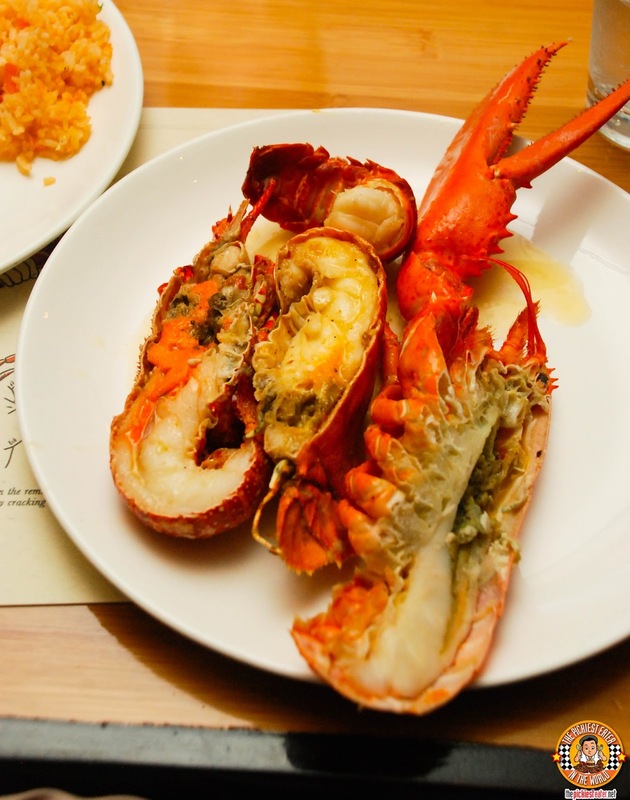 The Lobster sauteed in Lemon Butter and Garlic was all you need. 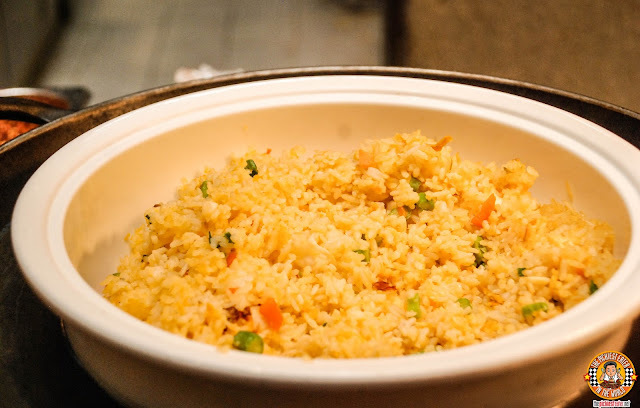 There is a whole slew of Lobster infused dishes, such as the Lobster Fried rice and Lobster Risotto that was added to Heat's already amazing selection, making every friday night without a doubt, MAD FOR LOBSTER! 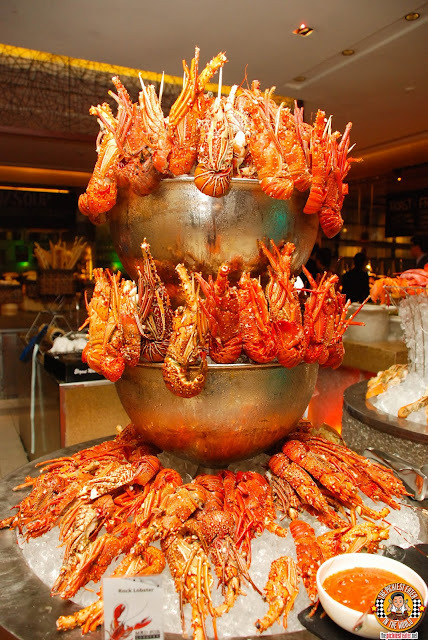 The Mad for Lobsters Promo of Edsa Shangri-la's Heat is scheduled until the end of the year, and there is no word yet if it'll be extended past that, so I suggest you try it immediately! 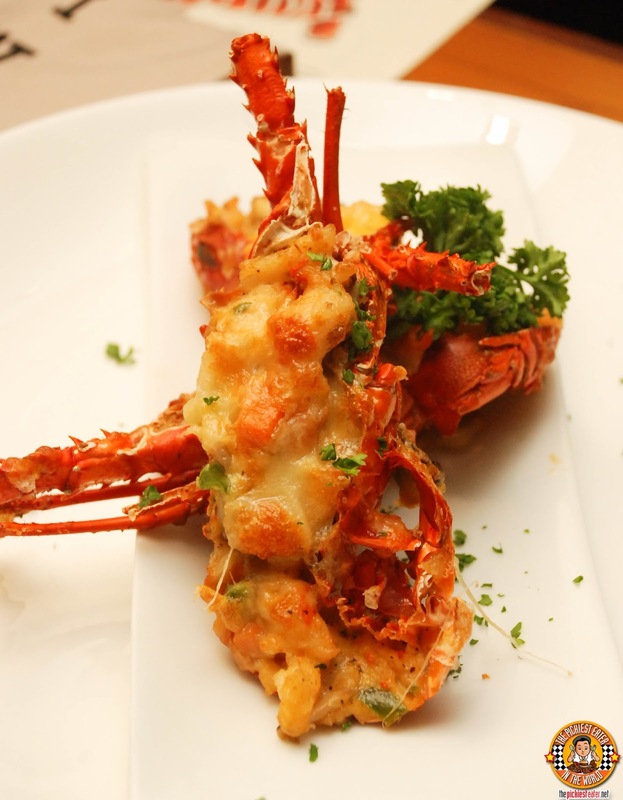 For a very reasonable P2,415++, you'll undoubtedly be taken to Lobster Heaven! haha that's one of the reasons why I fell in love with her!